A few months ago I got a taste of what life will be like if Mad Max is right about the dystopia. 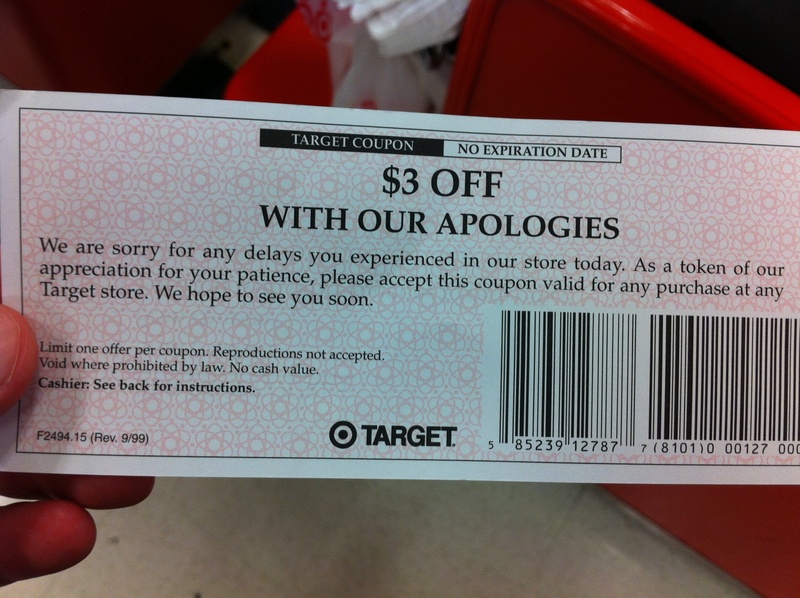 They apologized and gave me money. This small, but meaningful gesture (which I immediately applied to my purchase that day), reminded me of the secret to lasting in leadership: Own your stuff. Target didn’t blame the black out on the heat. They didn’t blame it on the City of Victorville. They didn’t blame lousy service from Southern California Edison. All of which are viable scapegoats. But they didn’t go there. They owned the mistake. And they made it right as best they could. That’s the secret to lasting in leadership. If you have an anger problem, don’t blame your dad who had an anger problem while you were growing up. If you’re too stressed at work, don’t blame your boss or your coworkers. If your quiet times aren’t as meaningful as you want them to be, don’t blame your wife and kids because they keep “bothering” you in the morning. Get help. If your temper is out of control, talk to a counselor who can coach you in anger management techniques. If you’re stressed at work, ask for help, say no more often, or find another job. If you’re quiet times feel like they stink (and we’ve all been there), figure out a better plan and talk to your family about setting some boundaries. Blaming others for what’s wrong in your life (even if they may be largely to blame sometimes) isn’t going to fix anything. Own the responsibility for your health. Own the well-being of your family. Own your attitude at work. Own the boundaries necessary to safeguard your rest and time off. Own the quality (and frequency) of your times with Christ. Owning your stuff doesn’t mean everything is going to go your way. But it does mean you’ll be more intentional about getting there and you’ll respond more from a place of health when you can’t. If Target can do it, so can I. And so can you. What area of your life you need to start owning?